X It hides food under its long body hair. However, it forgets it has hidden the food. X Unter seinem langen Fell versteckt es Nahrung. Aber es vergisst, dass es sie dort versteckt hat. X Il cache de la nourriture sous les grands poils de son corps, mais il finit souvent par l’oublier. X Esconde comida bajo el largo pelo de su cuerpo, pero más tarde lo olvida. X Nasconde il cibo sotto i lunghi peli del suo corpo. Tuttavia, finisce spesso per dimenticarlo. X 몸의 긴 털 안쪽에 먹이를 숨기는 습성이 있다. 숨긴 것을 잊어버린다. Y It conceals food under the long fur on its body. It carts around this food stash and swallows it without chewing. Y Unter seinem struppigen Fell trägt es Nahrung mit sich herum. Dann verschlingt es sie in einem Happs. Y Goinfrex cache de la nourriture dans sa fourrure en pagaille. Il avale tout en une bouchée. Y En el interior de su pelaje revuelto esconde la comida que luego engullirá de una vez. Y Nasconde il cibo sotto il pelo arruffato. Lo inghiotte senza masticarlo: glop! Y 부스스한 털 안에 먹이를 숨겨서 갖고 다닌다. 먹을 때는 꿀꺽 통째로 삼킨다. Omega Ruby It conceals food under the long fur on its body. It carts around this food stash and swallows it without chewing. Omega Ruby Unter seinem struppigen Fell trägt es Nahrung mit sich herum. Dann verschlingt es sie in einem Happs. 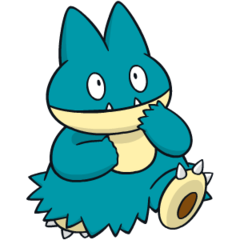 Omega Ruby Goinfrex cache de la nourriture dans sa fourrure en pagaille. Il avale tout en une bouchée. Omega Ruby En el interior de su pelaje revuelto esconde la comida que luego engullirá de una vez. Omega Ruby Nasconde il cibo sotto il pelo arruffato. Lo inghiotte senza masticarlo: glop! Omega Ruby 부스스한 털 안에 먹이를 숨겨서 갖고 다닌다. 먹을 때는 꿀꺽 통째로 삼킨다. Alpha Sapphire It hides food under its long body hair. However, it forgets it has hidden the food. Alpha Sapphire Unter seinem langen Fell versteckt es Nahrung. Aber es vergisst, dass es sie dort versteckt hat. Alpha Sapphire Il cache de la nourriture sous les grands poils de son corps, mais il finit souvent par l’oublier. Alpha Sapphire Esconde comida bajo el largo pelo de su cuerpo, pero más tarde lo olvida. Alpha Sapphire Nasconde il cibo sotto i lunghi peli del suo corpo. Tuttavia, finisce spesso per dimenticarlo. Alpha Sapphire 몸의 긴 털 안쪽에 먹이를 숨기는 습성이 있다. 숨긴 것을 잊어버린다. Sun It needs to consume its own weight in food every day. As far as flavor is concerned, it’s indifferent. Moon When it finds something that looks like it might be edible, it goes right ahead and swallows it whole. That’s why it gets fatter day by day. Diamond For once each day, it eats an amount of food that is equivalent to its body weight in one go. It’s almost as if it swallows everything in one bite. Pearl It has the habit of hiding food under its long body fur. However, it tends to forget about the hidden food. Platinum In its desperation to gulp down food, it forgets about the food it has hidden under its fur. 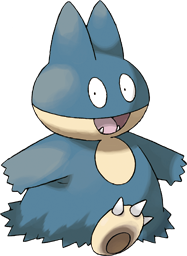 SoulSilver It conceals food under the long fur on its body. It carts around this food stash and swallows it without chewing. Black In its desperation to gulp down food, it forgets about the food it has hidden under its fur. White In its desperation to gulp down food, it forgets about the food it has hidden under its fur. White 2 In its desperation to gulp down food, it forgets about the food it has hidden under its fur.